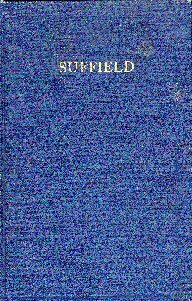 The Suffield: Quarter Millennial PLUS CD-ROM of documents of historical and genealogical interest from and about the Town of Suffield, Hartford County, CT, has been discontinued as we phase out our CD business, but we are in the progress of bringing you the contents of the CD as individual downloads. A few of the items are quite rare. Suffield: Quarter Millennial. This combination of town history, program for the 250th anniversary celebration, and compendium of lists of information about the town, all with our new index, was once the centerpiece of the discontinued Suffield CD-ROM, and now it is available as a download. 253 pages, plus our new index, for a total of 309 pages, in PDF format, download now for $4.75. Originally published 1921 by the authority of the General Executive Committee. We have scanned and indexed this 253 page book of history (text and pictures) as the original book contained no index at all, although the book contains a wealth of names which should be of particular interest to people researching family history and genealogy in the Suffield area. We think our index is a major improvement. Indexing took a long time, and we appreciate your patience -- and the encouragement you gave us -- while we slogged through the process! Please to see an extract of all of the Suffield surnames that appear in the new index. The book is a wonderful historical compendium not only of what happened at Suffield's 250th anniversary (including the programs for the Suffield Pageant, the Hostess House, and other portions of the celebration -- we've seen these small sections of this book selling in the $15 - $35 range on eBay recently), but also lists of Suffield veterans of all wars through World War I, a lengthy history of Suffield (it's interesting that Suffield was in its early years part of Massachusetts), specifics about many of Suffield's stock of great old houses, the Suffield School (formerly the Connecticut Literary Institution), local businesses, professionals, and organizations, and a wealth of other minutiae that would be impossible to assemble today. The book includes many historical photographs, both of individuals and of buildings. We've included the photos in their original places in the book, but have also included them separately as high-resolution scans for those who wish to reproduce them and perhaps frame them. 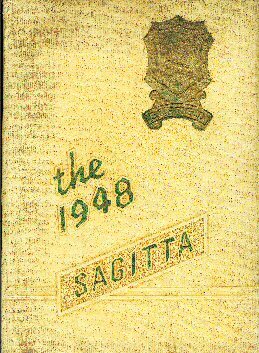 The 1948 Sagitta, the yearbook of Suffield High School. This historical volume contains 56 pages with abundant photographs, plus many autographs. We've developed a list of the surnames that appear in this volume and are happy to provide it here for your reference. READY NOW!! SEE BELOW FOR DOWNLOADING INSTRUCTIONS! Suffield: Miscellanous Items. Here's a set of smaller items about Suffield. Included are an article about Suffield from the first volume of the Connecticut Quarterly, a few pages from The Connecticut Guide, The Suffield entry from the 1927 Connecticut Register, and a number of photos and ephemera about Suffield from many different sources. A total of 35 pages, in PDF format, download now for $2.75. 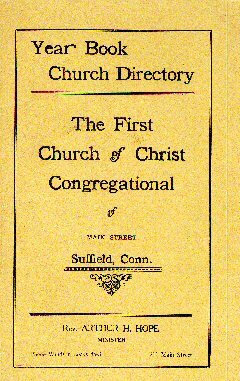 The 1924/5 Year Book and Church Directory of the First Church of Christ, Congregational of Suffield. An interesting document, including a history of the church, a roll of historic ministers of the church, and two rolls of members, current and "absent". 34 pages, in PDF format, download now for $2.75. Please CLICK HERE to return to our Catalog. Please CLICK HERE to return to our Connecticut page. Please CLICK HERE to return to our Hartford County page.